I’m in absolute shock that next week we welcome February, meaning the first month of 2018 is already over! This year I may not be doing favourites posts every month, but I definitely couldn’t not do one this month as i’ve loved a fair few products this month, some of which I can see being favourites of mine for many months to come! 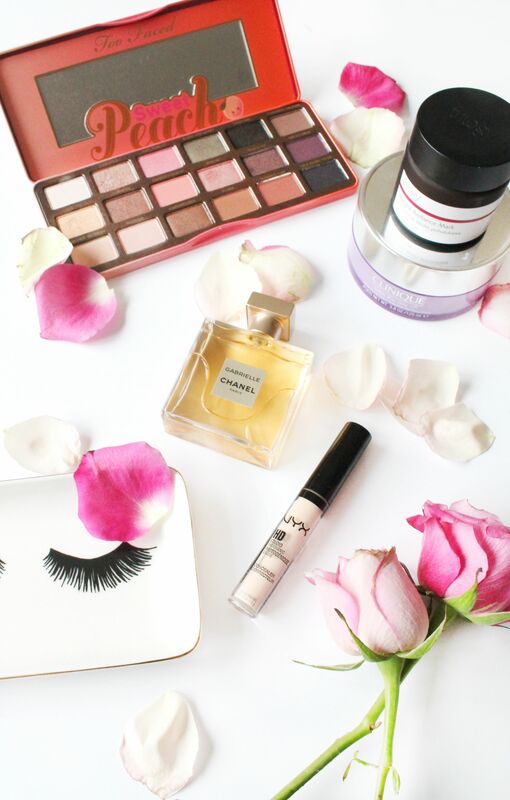 Continue reading to see which products have been my favourites during January! January for me has actually been a really good month in terms of working towards my goals, as i’ve already completed one of those goals with moving over to WordPress with the help of Pipdig and getting a brand new layout, which you can read more about here. I’ve also stepped up my fitness game big time and have seen myself lose another 2kg, and hit some amazing PB’s of which i’m so proud of, and I’m really looking forward to the year ahead! Onto the products i’ve been loving this month, and I couldn’t not start with the Too Faced Sweet Peach Palette (£39) which has been my go to palette of the month! I did do a full review of this, which you can read more about here but I have been really enjoying experimenting with this palette, and i’ve noticed that i’m naturally gravitating more and more to wearing eyeshadow on a daily basis all thanks to this palette. Another makeup product i’ve welcomed into my daily routine has been the NYX HD Photogenic Concealer* (£2.99) which has replaced my much love Collection concealer. I just find this so good at covering any blemishes, and the shade itself is slightly lighter to the Collection one, so it works better as a highlighter for me. If you haven’t tried this yet, then i’d highly recommend picking it up. Onto skincare, as i’ve really been focusing on taking better care of my skin through January and so far i’m really impressed with how well behaved my skin has been. For cleanser i’ve been reaching for the Clinique Take The Day Off Cleansing Balm (£23) which i’ve spoken about a fair bit recently, all because it is amazing at taking off your makeup after a long day. Another product i’ve been loving, especially when my skin is really lacking in radiance is the Trilogy Mineral Radiance Mask* (£20.50). Again i’ve featured this quite a bit recently, and you can read a little more here but it is an amazing mask to really give your skin a good pick me up! The last product in this favourites post is of course the Chanel Gabrielle Perfume (£79) which I got gifted for Christmas and I’m in love! I’ve been using this very sparingly as a little does go a long way, and because it’s that expensive that i’ve been trying to save it for more special occasions rather than everyday wear. What have been your favourite products of January?